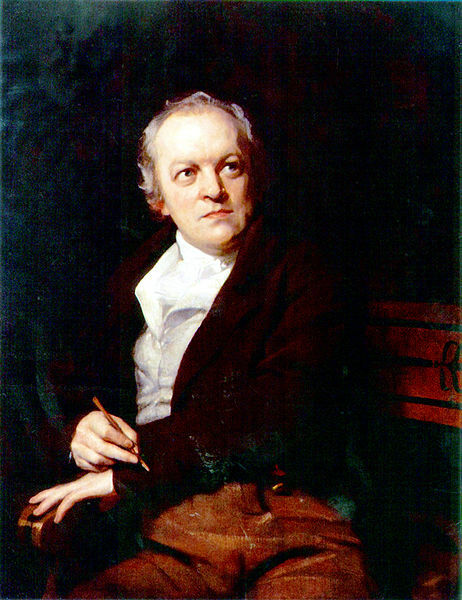 Among the most luminary of Toby's friends, the poet William Blake looms large. By Toby's own account, they met very early on in Blake's career, before he had undertaken his illuminated books, through the offices of a mutual friend, John Flaxman. Flaxman, a young and gifted sculptor, lived at his Aunt's house just a few doors down from the Lyceum in the Strand, where Toby gave his final London performances. According toToby, it was the Aunt who paid for the printing of Blake's first -- and only non-illuminated -- book a verse, Poetical Sketches, in 1793. This book was not sold to to public, but given only as gifts to friends, and apparently Toby was among them. But in the Journeymans Labour. The mention of the Hare, along with a reference to "virtuous cats" in An Island in the Moon, has been taken by Blake scholars such as Nick Rawlinson as evidence that Blake must have been aware of Bisset's show. He notes that, when Blake lived in Lambeth, he was "just around the corner" from Astley's Ampitheatre, although we now know, thanks to Toby's own memoir, that the pig who appeared at Astley's London establishment was his rival. All the same, since by Toby's account Blake personally presented him with a copy of his book, it seems likely that Blake regarded him as the original Pig of his kind, and had him in mind when he penned his verse. The notebook verses remained unpublished until 1957, which accounts for earlier biographers and critics being unaware of Blake's connection with Toby. By his own account, Toby continued to take an interest in the works of Blake, whose genius was very imperfectly recognized during his lifetime, and who died in poverty, his last work a small engraved business-card for an old friend, George Cumberland. N.B. The word "Anglus" has caused some confusion -- it's sometimes misread as "Angels" -- most editors of Blake gloss this word as meaning "bunglers" -- it has no entry in the Oxford English Dictionary, but may possibly be related to the Latin "angulus," meaning bent or crooked. Read this way, Blake's poem might seem to suggest that only dolts and bunglers would be impressed by a learned pig's act, though it could also be read as implying that a literate pig, as a "journeyman's labor," was a sort of rough sketch for that which the master's hand alone could truly shape, i.e., humans.